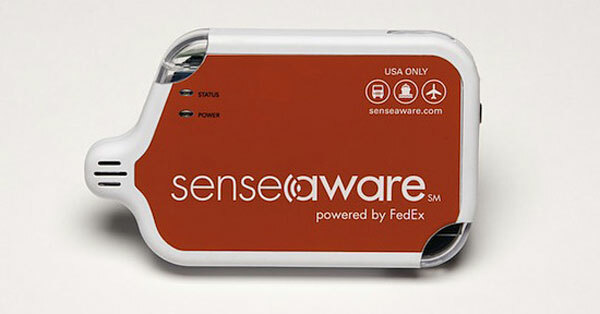 To help track the transport of delicate parcels and packages FedEx have developed the Senseaware tracking device. The Senseaware device provides real time feedback on the packages transportation including real-time temperature, light exposure, accelerometer data to detect drops and GPS location data to within a few feet. To begin the Senseaware technology will be used to transport medical packages including organs and surgical supplies. The hospital staff will be able to track the device and know exactly when the organs will be arriving for surgery. The deive costs around around $120 a month and all data can be viewed in real-time on the web.